Come on, Carp Fishing? 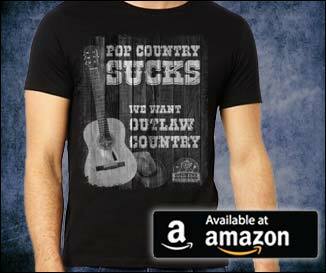 You’re damn right! Listen, I know as a so-called serious American angler you’re not supposed to talk about carp fishing. For some odd reason, these fish are not just hated, but some people downright despise them. But why? In my opinion, carp fishing can be just as fun as targeting a species like catfish. Carp Fishing is how I fell in Love with Fishing! Some of my earliest fishing memories include sitting for hours on end at my local pond catching carp after carp. In fact, I would say those early carp fishing experiences probably did more to fuel my fire for fishing, than anything else. 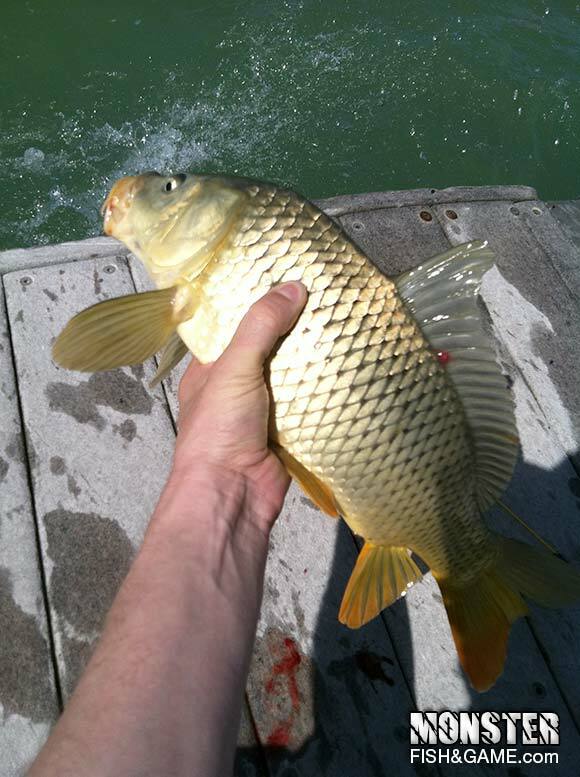 Those countless hours I spent fishing for Carp, helped grow my love of fishing. 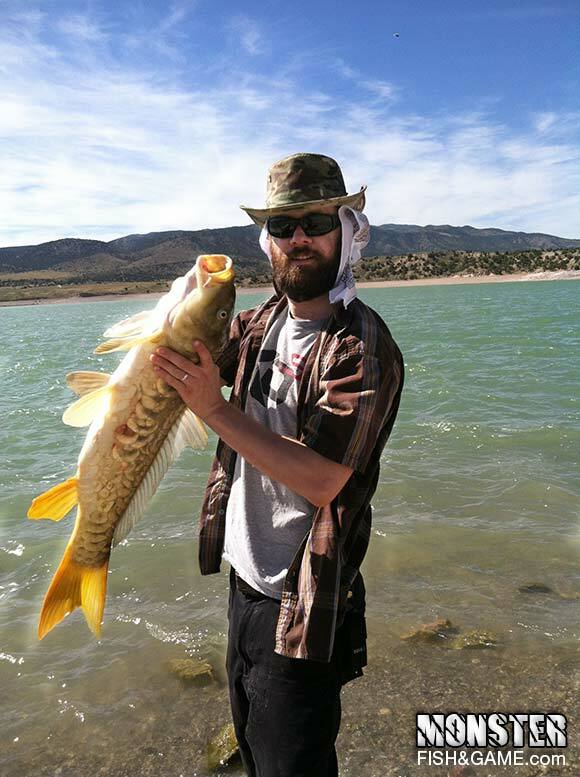 I know most Americans don’t consider carp a sportfish, but if you like catching big fish, carp can be an exciting and hard-fighting game fish to go after. In fact, in the UK, they are just as popular as Catfishing is here in America. While I don’t target them as much as I did when I was a kid, from time to time, I still like to go out there and try to catch a monster. And since they can often be caught using traditional catfishing techniques, it’s not uncommon to snag one every once in awhile when your fishing for something else. A lot of the techniques that I use are pretty similar to what I would do if I was targeting catfish. While I don’t use live bait (except for night crawlers), I do use similar rigs; my favorite being a Carolina rig with an 18″ leader. While some people think of them as a garbage fish, believing they will eat anything that’s thrown at them, there are certain baits that’ll give you a better chance of success. Carp Boilies: Boilies are a type of dough bait that are one of the most popular and productive baits you can use when fishing for carp. They are usually made from a boiled paste, with things like oatmeal, rice, corn, fish meal, and a binding agent. They are rolled up like a small meatball and then boiled to form a tough round bait. You can also buy commercially made Boilies. Nightcrawlers: Nightcrawlers are the only live bait that I use to target carp, they are also one of the most productive baits you can find. Corn is like crack for carp! 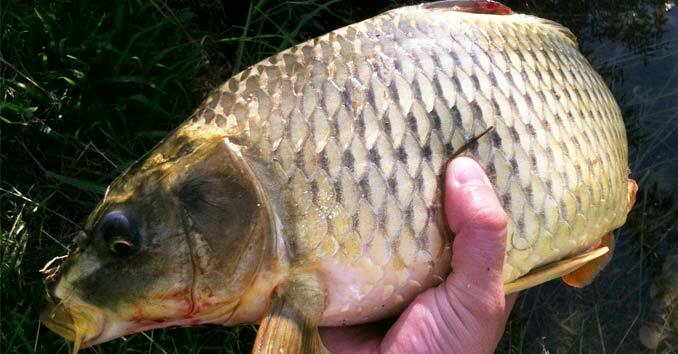 Believe it or not, corn is one of the best baits you can use when fishing for carp. The color, texture, and flavor all attract fish, but to be successful make sure to use canned corn with a high sodium content. Salt makes it that much more effective! Whether you are floating your baits on the surface or running them just off the bottom, remember that these fish can be easily spooked, so take your time, sit back, and keep your bank side noise to a minimum. Watch the shorelines: A lot of the largest carp tend to be caught right on the edges, where they like to patrol for food and bait that has dropped off the edge. Look for the Ducks! 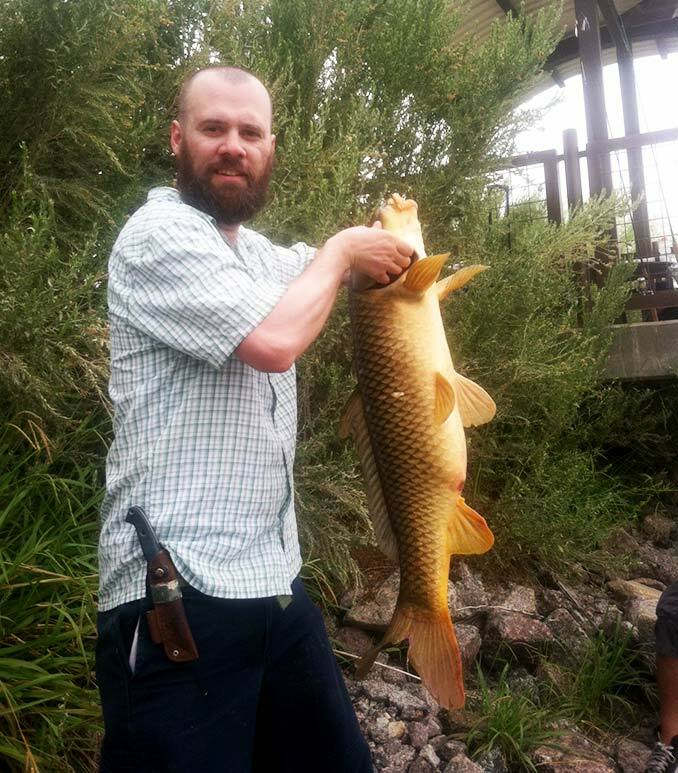 If there are ducks or geese in the water, there is a good chance the carp are not far behind. In ponds or areas where people feed these waterfowl, carp know that they can snag a free and easy meal just by trailing after the flock. Add some Salt & Vitamin C: I don’t know what it is about these two ingredients, but they make almost any bait better. I like to soak my carp baits in a bit of orange juice, Vitamin C powder, and sea salt. Carp that I’ve Caught using these techniques. 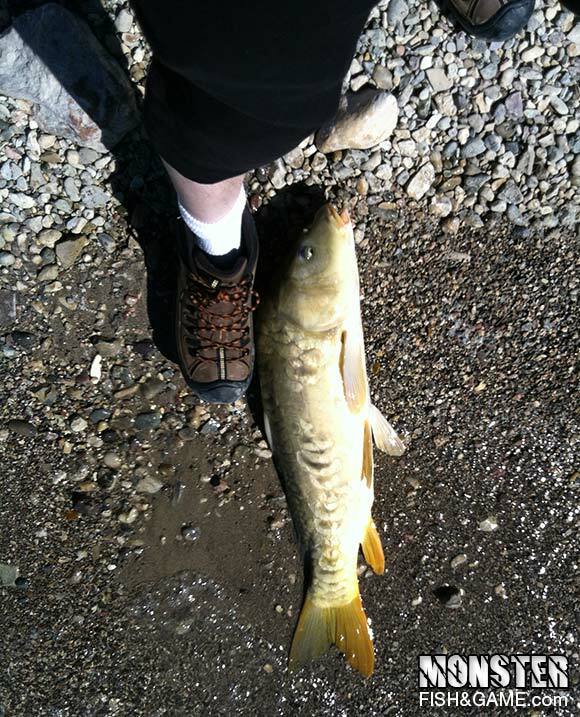 Here are some Carp that I caught in a lake near Salt Lake City, Utah. (Yuba Reservoir, Utah) I went out intending to go after the Northern Pike that the reservoir is known for but ended up catching a so many decent size carp that I forgot about the Pike that brought me there. I seriously had a blast, and it brought me back to those summer days fishing at my local pond when I was a kid. 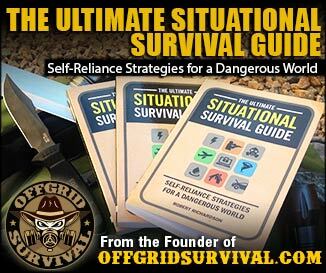 Robert Richardson is the founder and editor of OFFGRIDSurvival.com and Countryhookers.com. He is an Outdoorsman, a Survivalist, an extreme angler and hunter, and the author of The Ultimate Situational Survival Guide. Hey! I stumbled across your site while looking for ways to catch carp at Yuba. I was fishing with my little brother at the same time you were fishing! We were on the other dock if you remember. We pulled out two big carp and two perch that morning. You saw the second perch we caught, my brother went over to the dock you were on and pulled out a perch. Im going down with my friend this weekend to try and catch a ton of carp. How did you catch yours? I’m planning on sitting a worm on the bottom and waiting. Anyway, thats all. Hello Christopher, I remember seeing you guys out there. Nightcrawlers on the bottom seemed to work the best out there on the Carp. I caught most of them casting about 20 – 30 feet out from the end of the dock. Do you play the worm or just let it sit? I was catching them out there with the worm just sitting off the bottom using a Carolina Rig with about an 18-inch leader. I went out there to see if I could get some Pike and had a line out there while I was rigging up my other pole. Once the carp starting hitting, I just kept fishing for them because I was having so much fun catching them. I was nailing one about every 5 – 10 minutes. I need a surefire bait to use at a pay pond. I’m trying to put together a soybean meal plus wheat germ blackberry Jello and light corn syrup.Hope someone can help me.The season is very early fall end of September. I fish with others but the fish aren’t running quick enough.Also in the N.C foothills the weather has been really hot. I think the fish are staying in the mud to escape the heat? I’ve used everything I can make. Rice chow grits and soybean meal.